Cure4CF Foundation is excited to announce the appointment of Jodi Farley as Marketing and Communications Manager. Jodi commenced on July 24th. Jodi brings a wealth of knowledge and experience having worked for over 15 years’ in the not-for-profit sector in South Australia and Northern Territory. 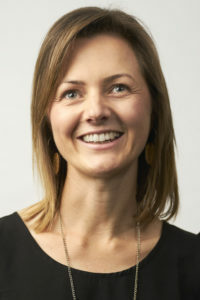 Specialising in stakeholder engagement, communications and strategic planning, as well as leadership and mentoring, Jodi possesses a natural ability to develop authentic and meaningful partnerships. In previous roles Jodi’s key responsibilities have included community relations and awareness, collateral development, media and sponsorship management. Jodi comes to the Foundation from CanTeen, where she worked in various roles including State Manager SA & NT and was most recently the State Partnerships Manager. In her new role as Marketing and Communications Manager, Jodi will be responsible for developing and delivering marketing, communications and business development strategies and initiatives.